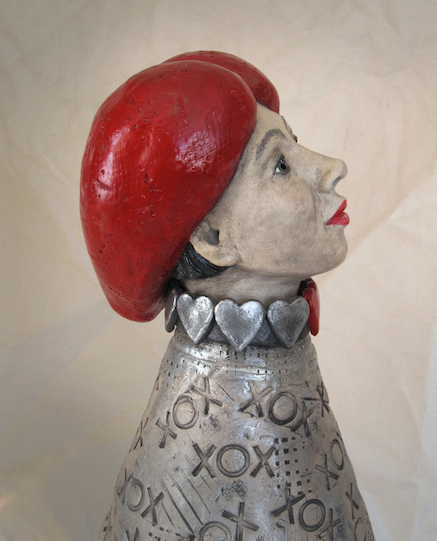 Ready to go on display at the Winnipeg Art Gallery Shop, Unabashedly Amorous is my latest completed sculpture. 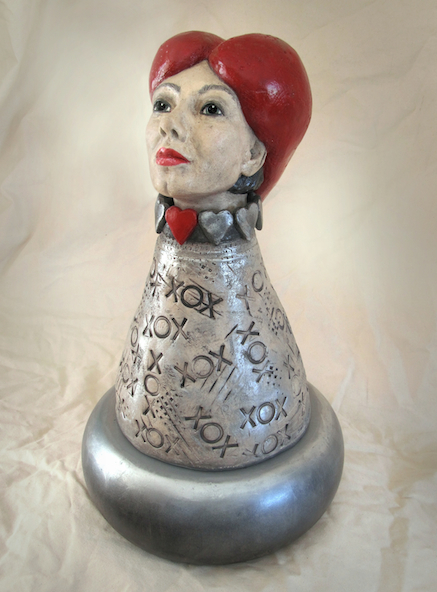 540mm high x 330mm diameter, the piece is a ceramic sculpture (fired with glazes and stains, completed with cold finishes) on a polychromed, turned wooden base. There’s a time to be shy about love… and there’s a time to wrap yourself in its warm embrace. The vernissage for ‘Put the Art in Heart: WAVE at the WAG’ is on Wednesday, 9 April, 18:00 to 21:00. See you there?